A patient was told she did not have sufficient bone to receive implants. 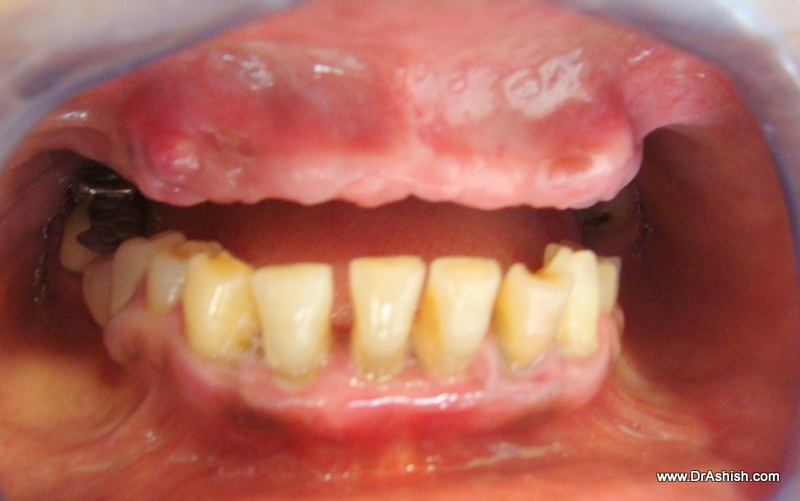 For fixed teeth, she was advised Bone Grafting and a period of 6 months wait.This was time consuming and expensive. 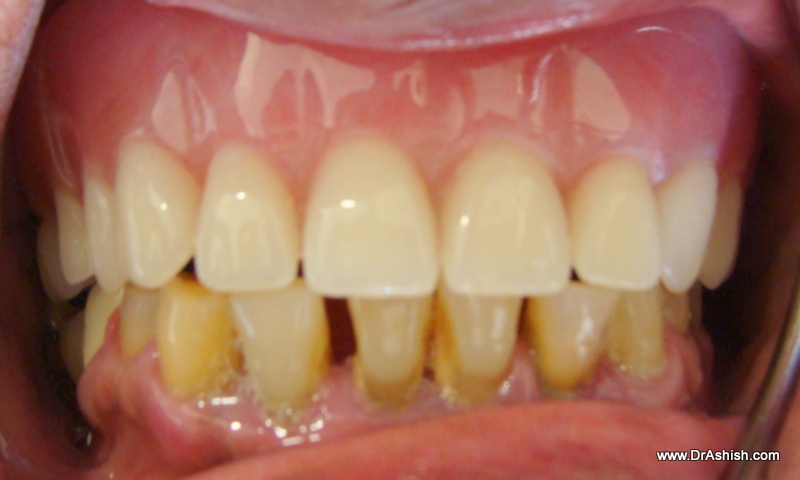 To reduce the Cost Teeth Implants she was treated with ALL ON 4 concept. 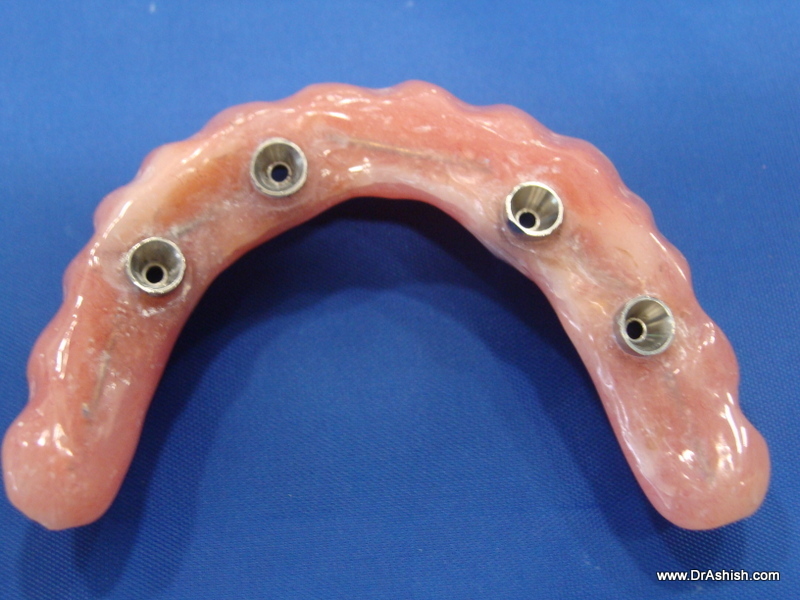 Her existing Denture was converted to a screw-retained bridge[Hybrid Denture]. All this was done in 24 hrs. 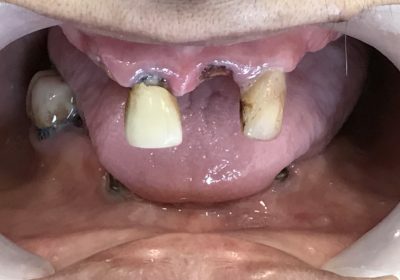 Her Denture which was covering her full palate got trimmed like a horseshoe. This is extremely convenient. The patient can chew and taste food like natural teeth. 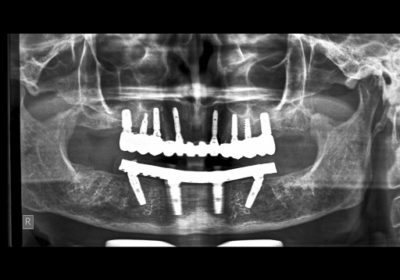 The implants help to rigidly stabilise the teeth as they are anchored in the Jaw Bone. 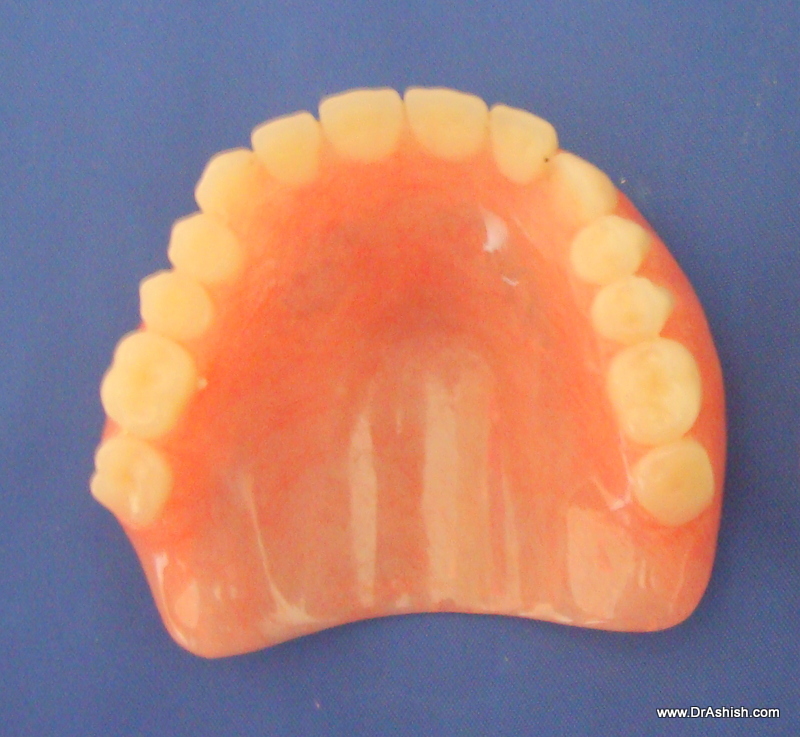 The patient can feel chewing right in the jaw bone which generally Denture Wearers miss. 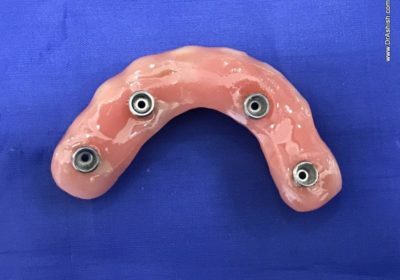 This is the Most Economical Full arch Implant Protocol. This reduces the Cost Teeth Implant This treatment is extremely popular with our out of town patients who visit us for a short time and get their treatment done. The treatment is economically viable as it does not involve too much time, bone grafting and extra Implants. Cost Teeth Implants is an important criterion for all the patients and we understand it.